The Pro Wrestling Nerd is not only your source for wrestling, but also the world of movies…sort-of. Whenever I get the chance, I will review either a movie about wrestling or a movie featuring a wrestler in a prominent role and post it here. 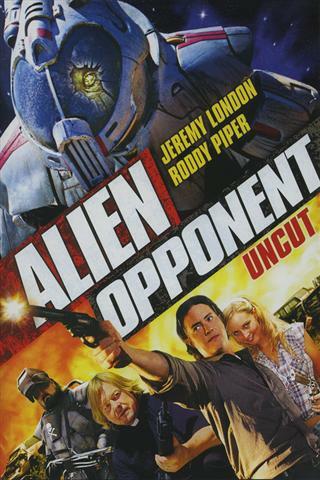 Alien Opponent is a movie that doesn’t aspire to be anything other than schlocky B-movie fun and for a good chunk of the movie it is. But then it starts to drag…and drag…and draaaaaaaaaaaaaag…quickly wearing out your patience and giving you ample time to point out its flaws.